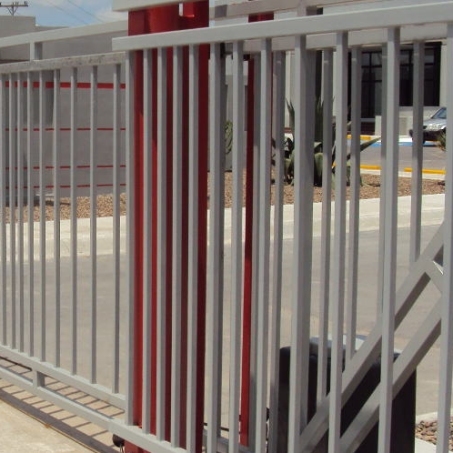 Sliding gates operate by running parallel to a fence or wall. 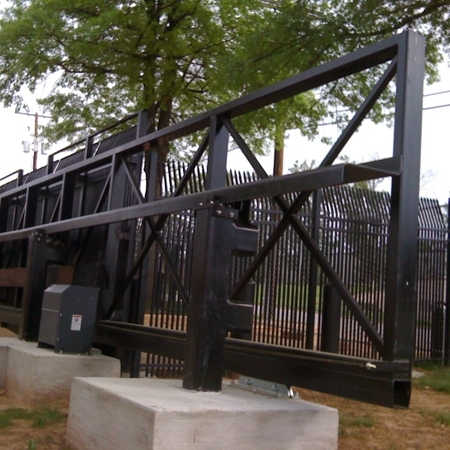 Sliding gates operate by running parallel to a fence or wall; sometimes required to maximize space at the property. 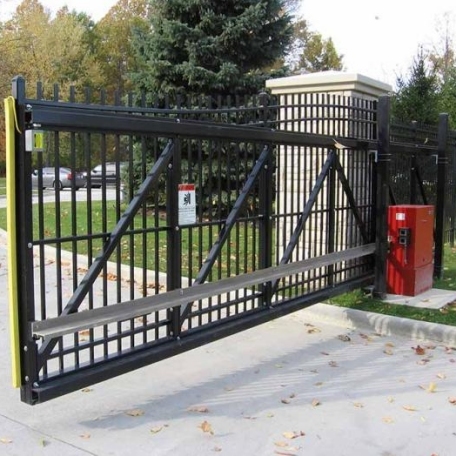 Gate operators range from light-duty to heavy-duty, depending on the weight of the gate and frequency of use. 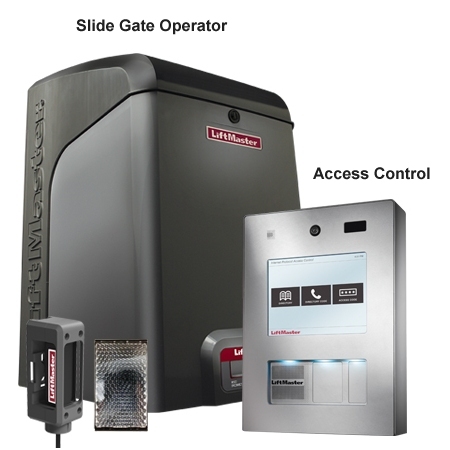 For commercial applications it's critical to select a gate opener based on these factors. CDC is the local expert to insure the application is sized and installed properly for high reliability. Gate access controllers are our specialty. As an integrated part of a commercial gate operator we can repair or recommend a secure access control method specific to your needs. Whether it's a keypad, wireless transmitter or card access, we offer them all. 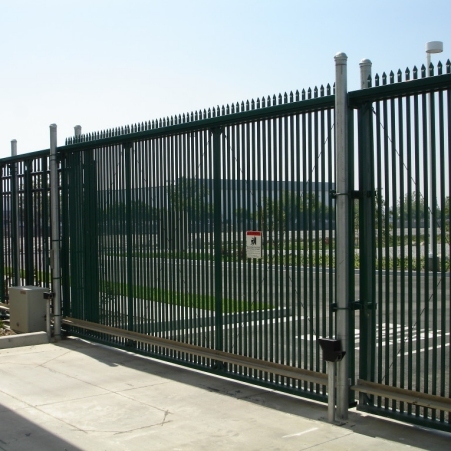 Commercial Door Company has over 50yrs experience installing and repairing commercial gates and operators for businesses in Southern California. For gate repairs we have a large inventory of spare parts along with the experience to help your business get back on track with a reliable gate opener you can depend on. If you need a gate operator installed or repaired, call us today for a free quote.